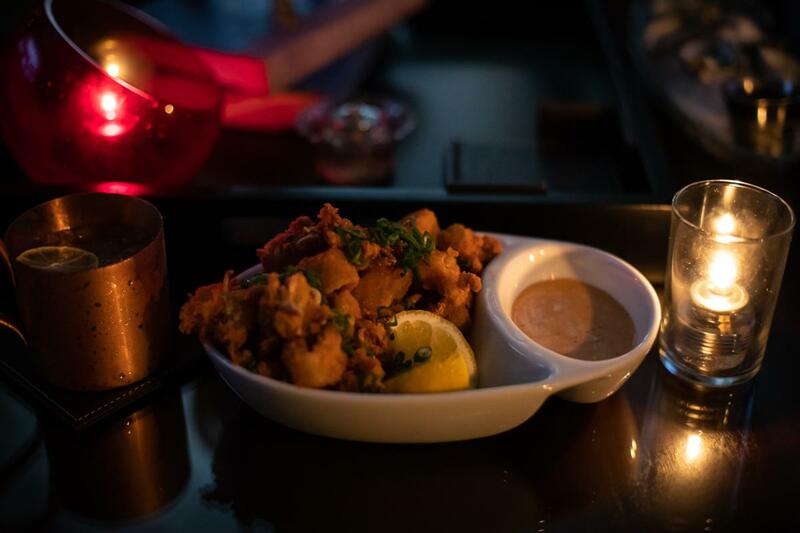 The night-life of Irvine just got a new star with the reopening of Y.N.K (You Never Know) at the Irvine Marriott. 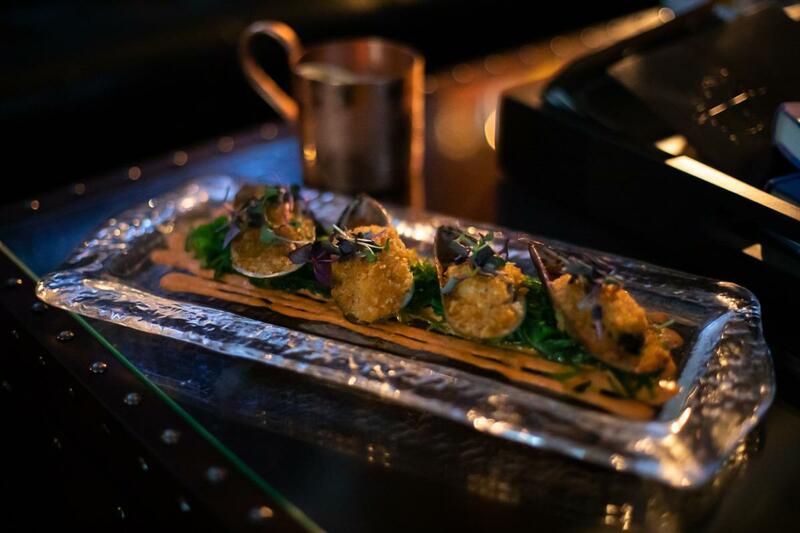 This modern speakeasy serves over 100 master-crafted cocktails in a cozy and dark room behind the bar of this high-rise hotel. Through the sliding doors, visitors will enter a Mad Men-esque space designed for conversation and enjoying excellent cocktails. 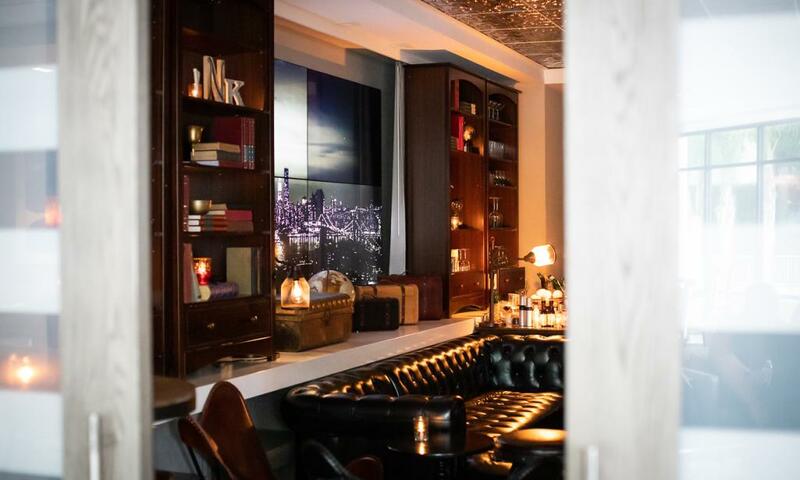 A leather-bound menu awaits guests with stories of each cocktail. 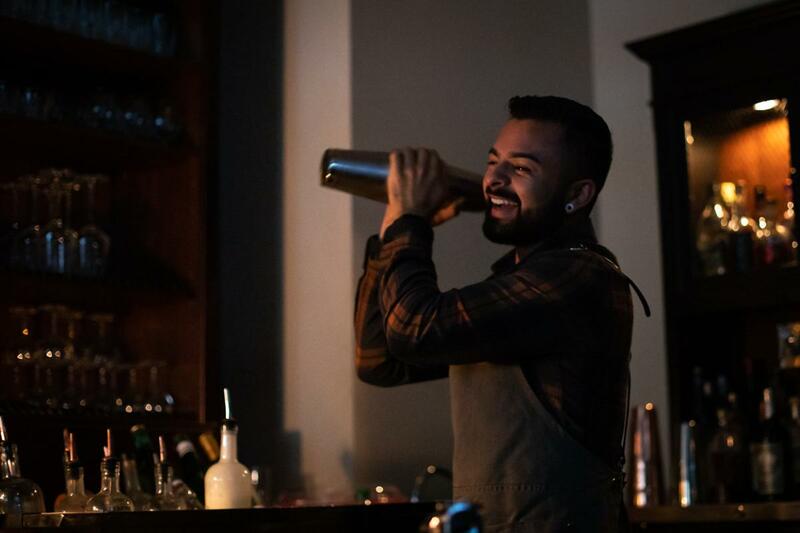 The service team can provide a flashlight to read the history behind the Old Fashioned or the tale of making a Ramos Gin Fizz. The chemistry of mixing ingredients to craft a drink are practiced here with a wonderful imagination. 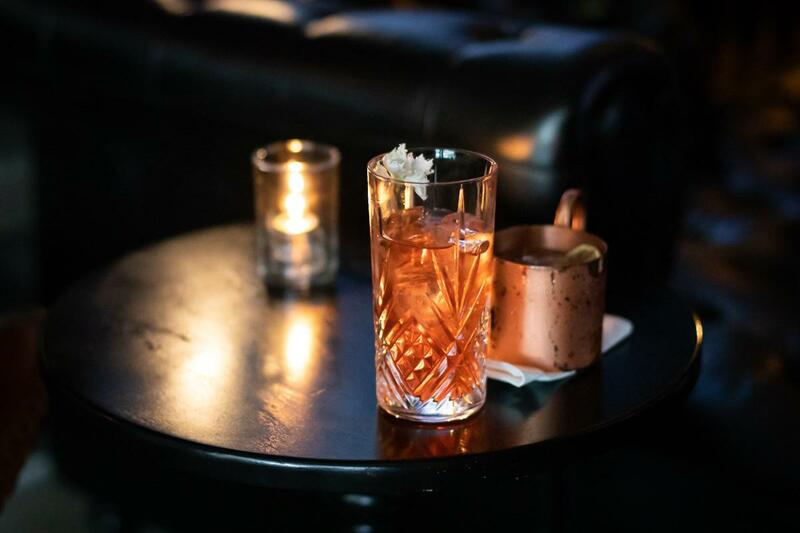 The results are drinks that can be sipped slowly to appreciate the depth of flavors. The Red Rum topped with an edible flower was an almost indescribable blend of tart citrus, sweet nectar, and pungent flowers. I highly recommend it! 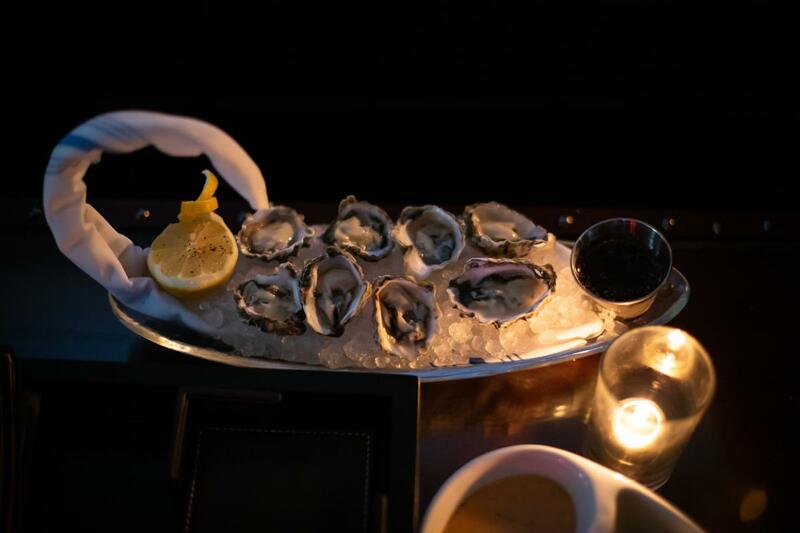 Pair your drink with exceptional food such as fresh oysters from British Columbia, mussels from New Zealand, or fried calamari. A vintage-style work desk is the platform for the mixologists to create cocktails. 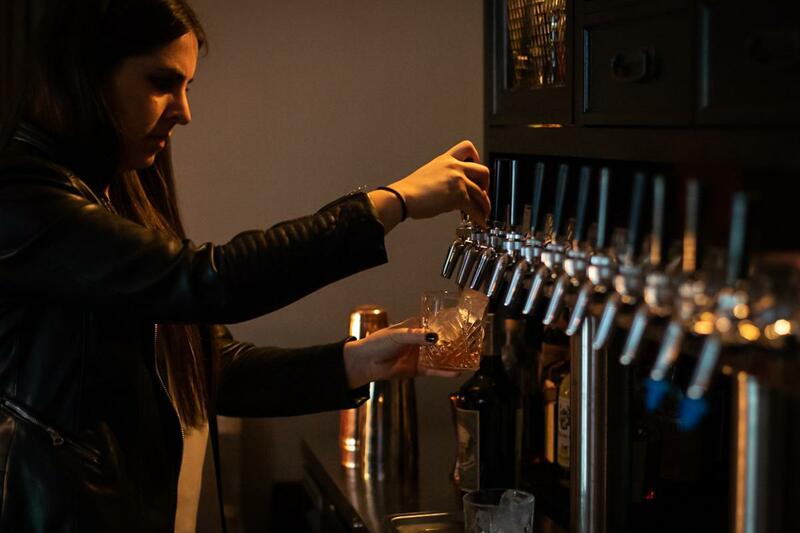 Twelve cocktails are on tap which speeds up the process for guests to enjoy more time for conversation and sips. 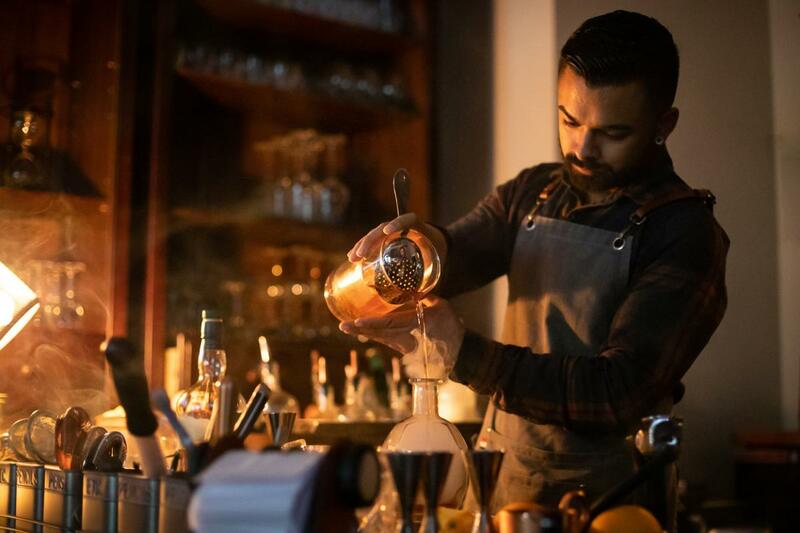 As the bartender garnishes drinks with fresh fruits, oils, and flowers, they can be connecting with the guests, enjoying the conversation that is at the heart of Y.N.K. It is enjoyable to observe the mixologist smoke whiskey, flame an orange peel and release the oils, and shake a cocktail. 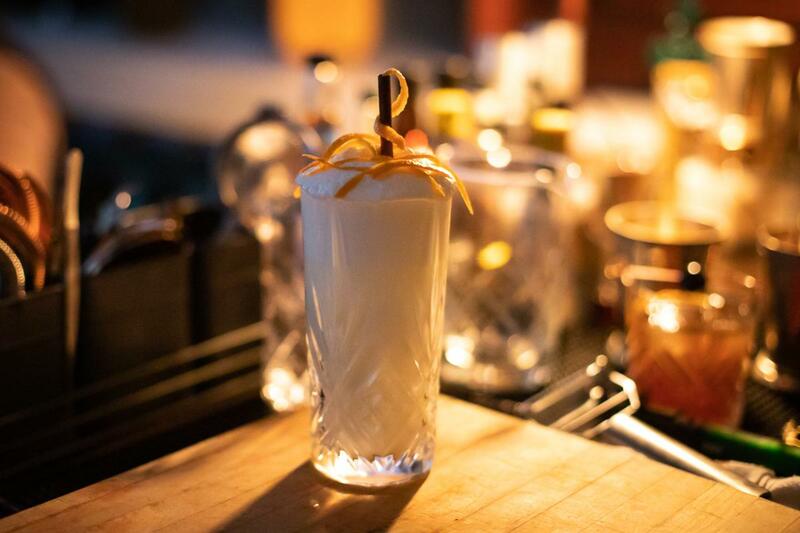 One taste of the Ramos Gin Fizz and you will thank the bartender for working so hard to make it. 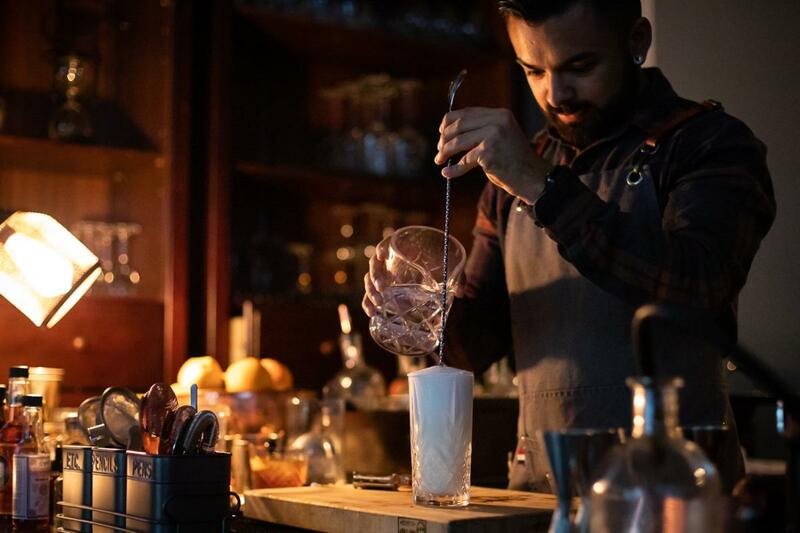 This emulsification of gin, lemon and lime, cream, egg, and a few drops of orange blossom water creates a delicious drink that reminds one of a creamsicle milkshake. Delicious! This sixteen seat room is popular with locals enjoying an evening with friends. Hotel guests are welcome to come to Y.N.K and enjoy a great drink. The creative team at Y.N.K is excited to welcome guests. 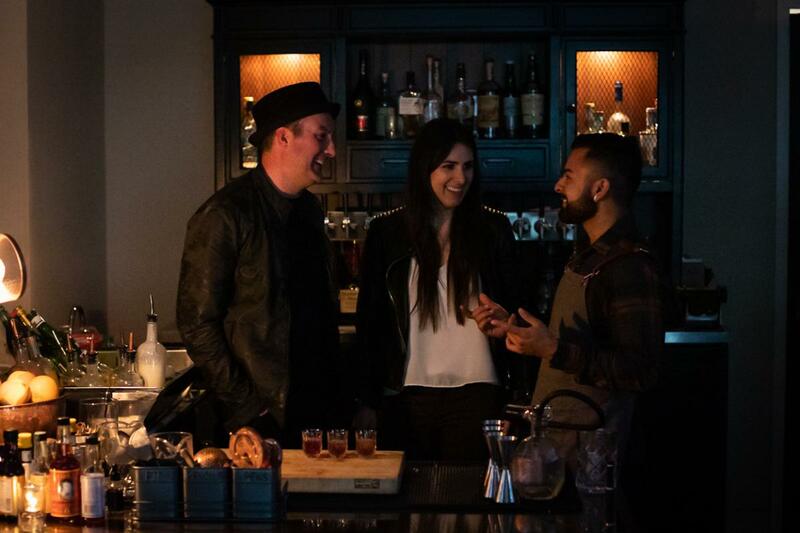 They are eager to create delicious drinks and food that invite conversation and connection.